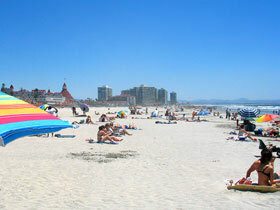 Lovely Coronado.We pride ourselves on being San Diego's bathroom remodeling specialists. Our goal is simple: provide a hassle-free process, excellent communication & flawless execution. We will design and build you an exceptionally beautiful bathroom with minimal disruption to you and your family! Our designers determine the best use of your bathroom space according to your family's needs. Whether turning your master bath into a comfortable retreat or updating your guest bath with a fresh new look, we will walk you through the process and wow you with the results. From new flooring, custom showers, gorgeous vanities, and phenomenal tile work, our design experts can give you a new bathroom in a short amount of time while still adhering to a high quality standard.